The heir to Martina Cole's crown with a story of murder, the underworld, violence and treachery. It's 1983 and Stephanie Crouch's life is dull. She is desperate to escape the run-down, pokey council house she shares with her overbearing family, but at fourteen years old she has nowhere to go. When Stephanie meets East End wide-boy Barry, his cockney charm and quick tongue soon have her head over heels in love. Finally Stephanie feels like her dreary life is on the up. But too young to control their fate, Stephanie and Barry are torn apart when he is whisked away to Spain by his family. Ten years later Barry returns to England. Within one month Stephanie's happy world with Wayne is turned upside down. People immediately start to point the finger of accusation at Barry, but is he the one to blame? 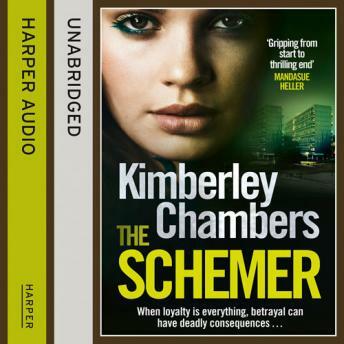 Or, should Stephanie look elsewhere to find the schemer who has ruined her life?